I discovered this project mislabeled as a "Continental Fusil" on an auction website, and purchased the piece in incredibly rough condition. The stock arrived in about 6 pieces, and was missing several small chunks from the wrist and lower forestock area. This project is what I would consider a "conservation" more than a full out restoration, in that great care was taken to keep the piece as original as possible without allowing it to deteriorate further. The lock was carefully reconverted and new parts aged to match the original lock finish. The stock was repaired with new wood spliced in several areas where original chunks were missing. 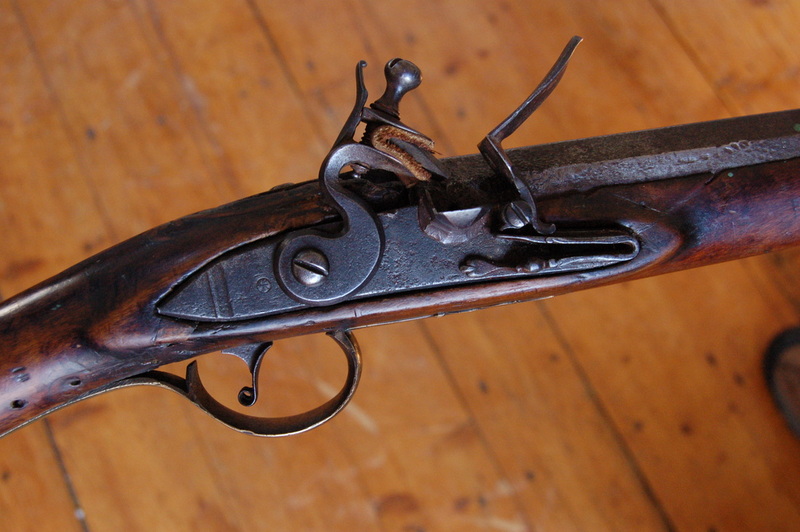 Attempts were made not to hide the fact that the piece was once in poor condition; areas worn around the breech and tang were left worn, whereas areas missing parts in the years since the piece broke were repaired. Wooden nails used to hold the earliest break together in the forestock were left in place, while the more modern brass nails and straps were removed (though kept separately with the gun). This project is still a work in progress on the side, and more details and photographs will be added in time.